I have a confession: I'm not much of a gardener. What a lovely, evil flower . . . I like having a handsome landscape, but I'm not all that hepped up about being the one who actually does the gardening. I prefer to leave that to others who are better equipped. But there's one thing in the garden I genuinely enjoy doing. And that's pulling dandelions. Every spring, in April and May, I spend several weekends in a row weeding our lawns of dandelions. It is highly satisfying. When we bought Darlington we were astonished by the legions of dandelions that sprung up on the property our first spring there. The lawns seemed to be nothing but dandelions. There were thousands of them poking their saucy, sunny heads up, smirking at us. I spent weeks and weeks digging them up, and Boy spent an equivalent amount of time spraying them with herbicide, along with the disgusting plantain that also defiled our lawns. Within a couple of years we had tamed the dandelion beast. Now it is only a matter of maintenance. But living in the country, as we do, surrounded by farms and fields, the beast requires vigilance. Even though we have a gardener and a gardener's assistant to help us with such chores, I like to get in on the action. Last weekend I pulled up several bushels of dandelions. I expect to spend the better part of this weekend doing the same. I'm rather stiff after all that bending and stooping, I admit. Stiff, yes, and happy. 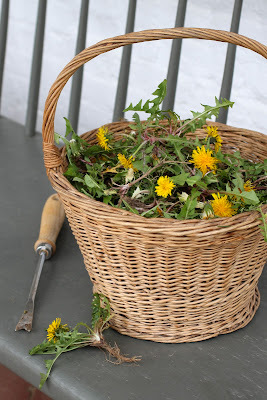 There is little that is more satisfying than getting a good purchase on the root of a dandelion with one's weeding tool, yanking it up from the soil, and tossing the intruder in the waiting basket. And now, Dear Reader, I'm off to finish the second installment of "The Family Secret". . . 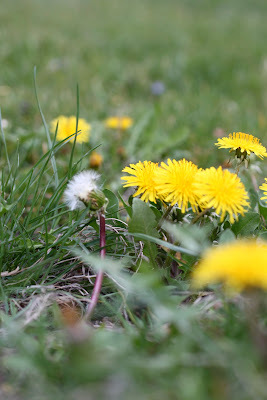 While I can understand your desire for a uniformly green lawn, it might surprise you to learn that many gardeners actually appreciate dandelions. Although I am not a fan of cooked greens, many enjoy the beta-carotene rich leaves sautéed. 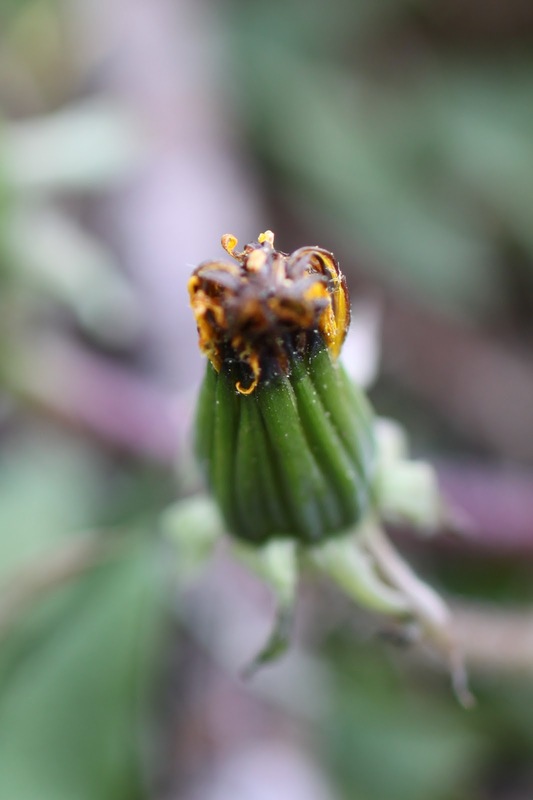 And a tea made from dandelion roots is said to lower blood sugar. But if there are still unwanted dandelions after a pre-emergent (granules are better than spray, I think) has been applied, pulling them out by the roots is the way to do it (easier after a heavy rain). Oh Reggie, if Pompey doesn't mind another dog on the property, this is a perfect case for a "Hound Dog" dandelion weeder. It is the most remarkable device I've ever used in the removal of this pesky weed, and makes the job almost effortless, thanks to the great leverage the tool provides when compared to traditional gardening tools. Best of all, it requires no bending and is environmentally sensitive (no chemicals required), so Pompey will be happy. Personally, I like lawns that are halfway to meadows--long grass, and lots of dandelions, plantain, ground ivy, clovers of various types, etc. When I came to Taiwan, I was somewhat surprised to find lots of plantains (plantago) here; somehow I had thought of them more as cool-weather plants. Their unexpected presence was like a friendly greeting. Have you ever had the misfortune to step on plantain in bare feet? It is disgusting! I think you've already begun the second instalment! Like you, we abhor them in a lawn or any formal setting and would also take a certain delight and satisfaction in the removal of them from unwanted places - namely the garden as a whole!! Looking forward to read the second part of your family secret. If you pull them in a very young and tender state the leaves make a delicious salad. They must be small with no flowers for this but with a simple vinaigrette and some crusty bread they are lovely. 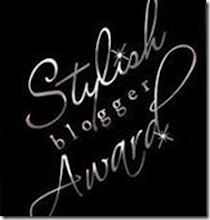 I got up early this morning, made myself a double dose of strong coffee, got on my favorite chair, pulled my feet up, waited with bated breath while signing up and clicked on my favorite blog EXPECTING A VERY JUICY STORY...and what do I get? DANDELIONS! In retaliation I call on the dandelion gods to unleash the dandelion beast in your garden for every hour you keep us waiting. Get ready for more stooping and bending! Mea Culpa! I promise, it's coming shortly. These stories don't just trip off the tongue, as you know! I must admit I love a dandelion lawn - dandelion, clover and anything else that should not be in a perfect grass lawn makes it so much more interesting to me. Having said that, I must also admit that lawn maintenance was one of the horrors that drove us to living in a high-rise above the tree-tops. When I was a child I loved having a bunch of dandelions in a old jam jar and the usual tales of them causing bedwetting did not deter me. Now, they're salad. Must look into this, thanks for the suggestion. The basket is quite beautiful for so devilish a plant. Looking forward to Chaper II. 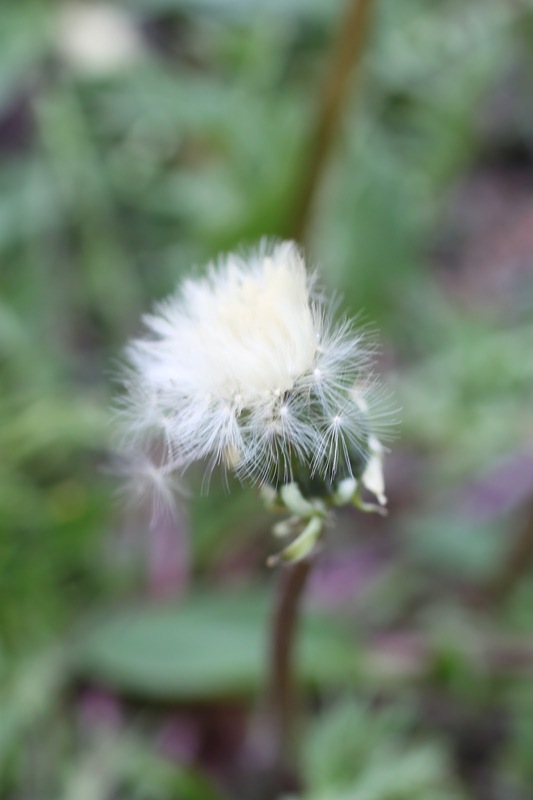 When I was wee my mother paid my sister and me a nickle for every dandelion flower we picked. We did so well our first day out that our pay was reduced to a penny. My parents were saved from the poor house, because small children have short attention spans. My sister and I soon found a new game to keep us entertained that summer. Five cents each? No wonder they reduced it to a penny! It would be very easy to rack up quite a bill under such circumstances. Thank you for your comment. OMG -you still think that they are a weed. 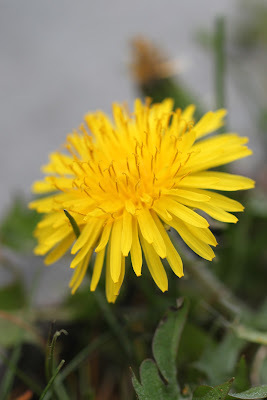 dandelions in addition to their beautiful yellow spring flowers that you don't have to do any work to get and the wonderful fluffy white aftermath are EXTREMELY high in Vitamins esp. Vit. A. the leaves can be enjoyed all year long as long as they aren't blossoming when they are too bitter. there are many varieties ( i have 8) and all are edible. the roots are especially good if scrubbed, sliced thin and sauteed with garlic and make a passable pesto. the roots can also be roasted to a dark dry brown and then ground in your coffee grinder for a caffeine free coffee substitute. also, the water from cooking the greens makes an excellent herb tea with a little honey added. combine this with muffins made from cattail pollen and a little bamboo (japanese knotweed) sauce - tastes like rhubarb - and you have a great spring wild foods meal plus you can sit on the porch, enjoy the spring breezes and not get all hot and sweaty pulling up my favorite flower. we work so hard at growing things to eat when we are surrounded by foods far more nutritious than those raised in the vegetable garden. I admire your industry and frugality. Thank you for your most enlightening comment. You're a wise man preparing to finish the second installment of "The Family Secret". You'd have a few people after your hide if you didn't! When you say "second installment", might that mean there's more than one or two chapters? I can dream, can't I? Thank you Gail, I'm afraid there are more than two instalments. The Secret is rather juicy, and created much fall-out. Dear Reggie, Please post about ANYTHING as often as you can find the time. I so look forward to each and every entry... they truly make my day! Thank you Dwayne, that's awfully nice of you to write. Anyone who is a friend to LA is someone whose taste I admire! I agree with Blue. A lawn with dandelions and clover makes me smile. I think dandelions are beautiful and so cheerful, and I still love to blow their parachute balls! Bitsy dearest, you are welcome to come to Darlington House and dig up as many dandelions as you would like to transplant to your charming place in Boston. When shall I expect you? Dandelion jelly. Its very nice on cumpets and what retrubution to boil and then eat the offending intruder! I have never heard of dandelion jelly. Most interesting! Hmm... wasn't there something about rubbing a dandelion under your chin? It was supposed to determine something important as I vaguely recall, like whether you'll be rich or whether you like butter... Or maybe it was just another weird Ohio thing like calling green peppers mangos...-N.G. I always thought that holding a buttercup under one's chin was supposed to determine whether one loved butter or not. Bitter but interesting. They are pretty in a salad although I do not think appreciated by some. Lovely posting! Yes -- I do add my vote for the Fiskars Weed Puller! It is affordable and quite adept at pulling out the whole weed -- and getting to the root of the problem! It lifts the whole weed and then you simply push down on the handle to release the weed into your basket. Better for backs -- and a bit of a game to try and "toss" the weed into the basket! LOL!